They managed to stick enough Ferrari badges on it to make sure you’re absolutely fooled from every angle, including on all four of the (surprisingly) original wheels. It looks like this thing may have been in a front end accident and was shoddily put back together — though that would be impressive that they were able to source all those parts if that’s the case. It may just be a little worse for wear. The paint looked pretty decent and looks original. Of course, more Ferrari badges than any real Ferrari ever came with. So he at least knows it’s a Laforza... but apparently the model is Ferrari? No clue. I would also guess they’re in a hurry to sell since the note is asking $10.5k but the windshield already shows a marked down price. I’m not too keen on whoever appraised it, though. I put more faith in the Jalopnik audience on that front, and they seem to be pricing it just a bit above what nearly 50% of Jalops would find fair (though that one wasn’t trying to be passed off as a Ferrari). 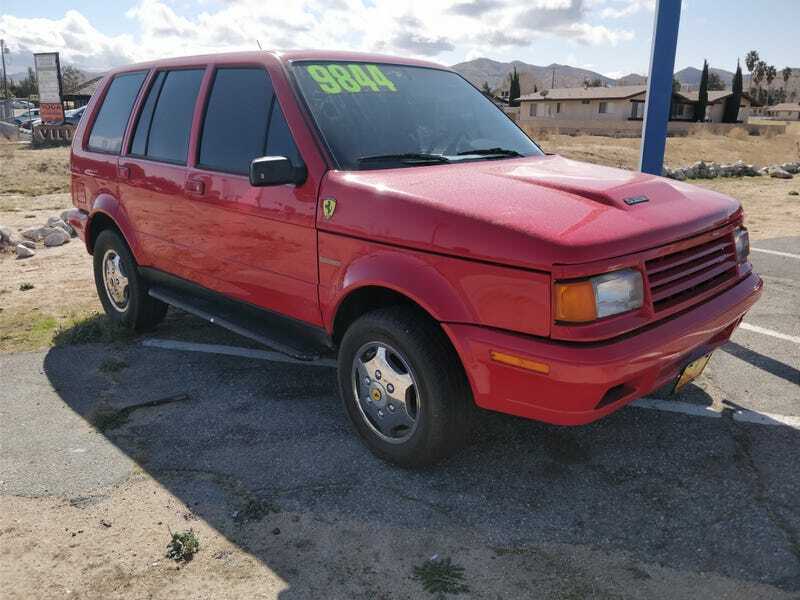 For $7,995, Is This Laforza To Be Reckoned With? Like I said. More horse badges than any self respecting Ferrari would wear itself. The seats look decent enough, but the rest of the interior looks a little rough. What a sad, sad thing this is.